Among America’s greatest, though little-recognized problems is the fact that Washington is brimming with liberal weenies with Ivy League degrees, the same Ivy League that indoctrinates perfectly normal, healthy, impressionable youngsters with leftist, Marxist, Utopian ideology that has failed miserably everywhere on the planet it has been attempted. So, where else would you expect to find a story of a conservative student who somehow resisted and rejected her progressive indoctrination, proudly donning a MAGA hat and keeping a loaded, legal firearm in her bedroom for protection, being ostracized by her successfully indoctrinated liberal weenie roommates? Such is the situation Leyla Pirnie, 24, a Harvard grad student, found herself in. 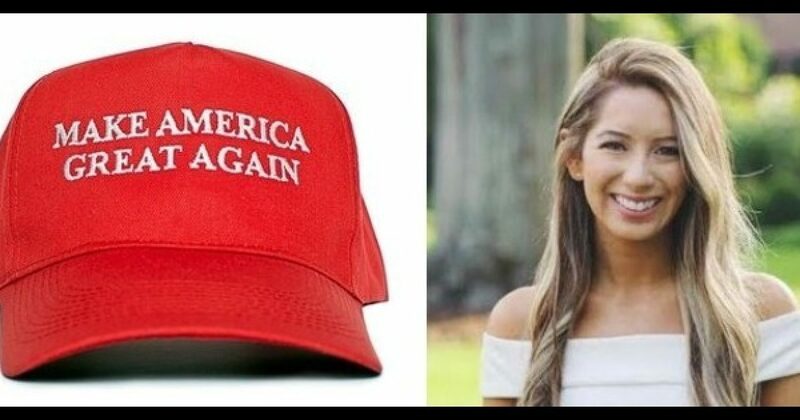 Triggered by her MAGA hat and Alabama roots, her roommates waited for her to leave, then rifled through her personal belongings until they found what they were certain was there, a GUN! I can see them all now, clinging to one another in a cluster, weeping uncontrollably. In addition to invading Pirnie’s privacy, for which her roomies saw no need to apologize, they all demanded, as did the landlord, that she move out, as she is obviously an extremely dangerous individual, what with a MAGA hat and a gun. The Ivy League Liberal Factory is one major thing wrong with America. She should sue the landlord for mental anguish and her roomies for invasion of privacy. They should be thrilled to live with someone who can actually stop an intruder while they hide under their beds. "[The landlord] cannot [terminate the lease] in response to your exercising your legal rights." Let's also not delude ourselves into thinking that this woman's voluntary disclosure would have solved this situation. BS! 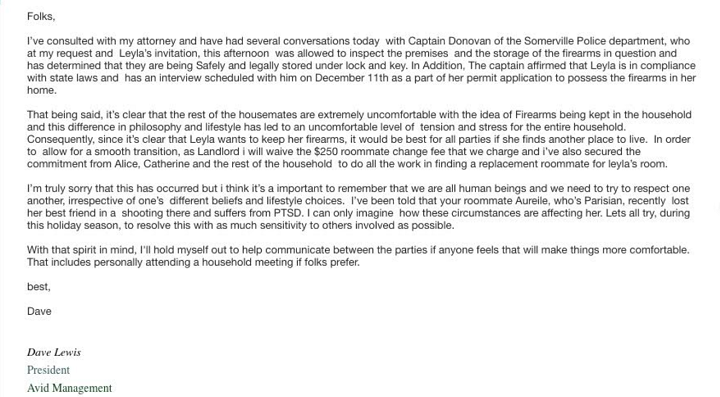 The girl had no obligation whatsoever to disclose that she had a gun. She should tell her heavy roommate that fat people creep her out and fatty needs to move, then tell her other roommate that people who wear glasses make her nervous, so Miss Foureyes has to move too. Someone who knows her roommates are insane.